Hardy shrub, native to Japan and Chine, and a member of the Rue family, Rutaceae. Although related closely enough to Citrus to be considered one, unlike other citrus shrubs it is deciduous. 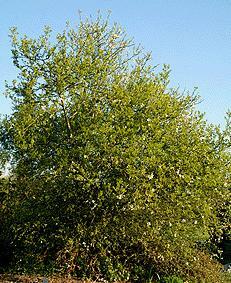 The shrub has smooth green bark, glossy green leaves, and sharp thorns.In spring it bears frgratn white blooms which are followed by small orange fruits. Poncirus is often used as a rootstock for citrus trees. It is also an excellent choice for a impassable hedge when planted closely together. Propagation is easily performed by taking cuttings of half woody stems and inserting them into a mix of peat and sand or by sowing seed. No pre-treatment of seeds is necessary. Seeds should be sown in pots or trays and kept moist at 65-75F, covered and dark until the seedlings emerge. . Transplants should be planted outdoors when all danger of frost has passed. The fruits of Poncirus are edible, but very acidic and seedy. 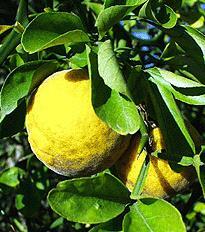 They are sometimes used to make marmalades and as zest and contain a high concentrate of vitamin C and flavinoids. A decoction of the bark has been used to treat colds. The fruits are used to make a tea used to treat diarrhea and stomach disorders. 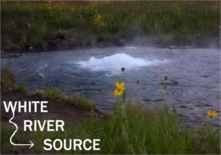 Hardy to -10F (-23.3C) Height: 30ft Spread: 25ft.